Here’s the secret that makes finding notes a breeze: with only two exceptions each note is two frets higher than the one before it. 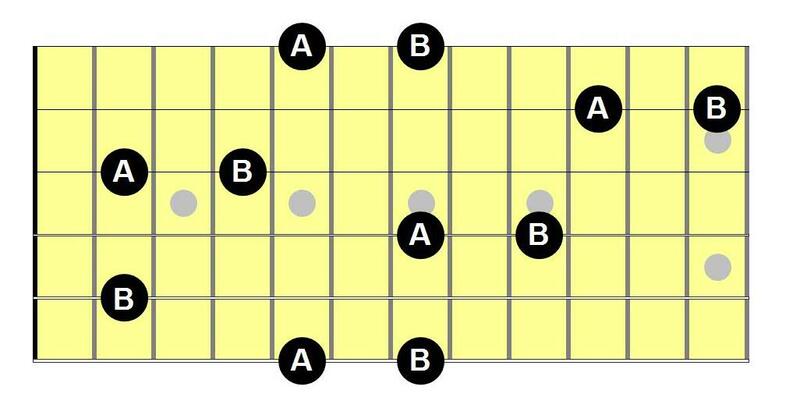 So… if you’re on A and you want to go to the next note, B, just go up two frets. You’ve got to agree, that’s easy! How about those exceptions? First B to C. Those notes are just one fret apart. Second E to F. Same thing, they’re one fret apart. You now have enough knowledge to see where all the natural notes are on the fretboard. For example let’s look at the natural notes going up the second string for an octave, starting at the first fret.